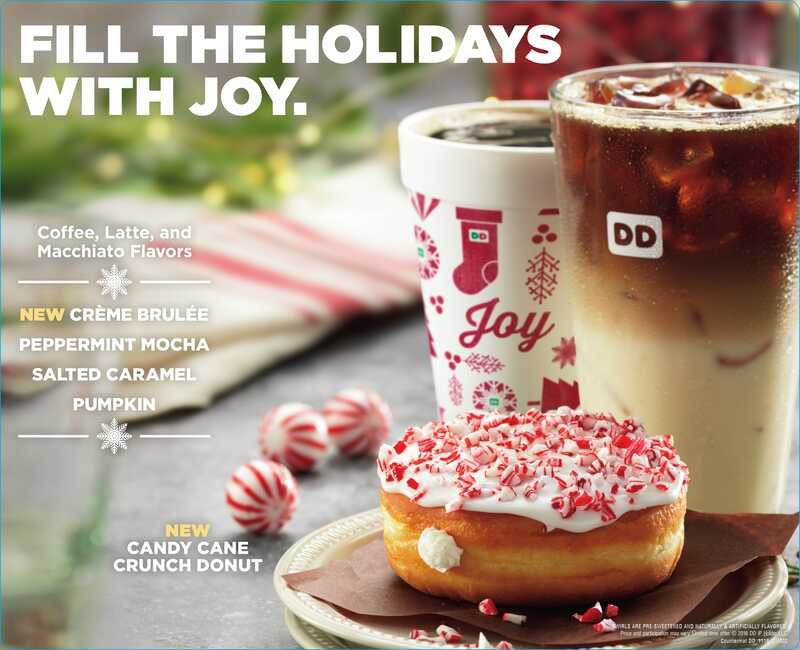 'Tis the season of joy at Dunkin’ Donuts once again, as the brand rings in the return of the holidays with a delicious lineup of coffees and treats featuring favorite seasonal flavors. This year’s seasonal selection includes new Crème Brulée macchiatos, lattes and coffees, a new Candy Cane Crunch Donut and a new Boston Kreme Croissant Donut. All of these flavors are available in Dunkin’ Donuts’ 100% Rainforest Alliance Certified™ espresso beverages, including macchiatos and lattes, as well as in its hot and iced coffees, at participating Dunkin’ Donuts restaurants through the end of the year. Dunkin’ Donuts’ coffee and espresso beverages also can be customized with your choice of dairy or sweetener, as well as Blue Diamond Vanilla Almond Breeze Almond Milk as a non-dairy alternative to milk and cream. Be sure and visit Dunkin’ for their special on National Espresso Day November 23, too. As part of the commemoration on November 23rd, guests can enjoy any medium Hot or Iced Espresso for only $1.99 at participating Dunkin’ Donuts restaurants nationwide. Want to try one of the new Dunkin' Donuts holiday featured beverages or treats? We're giving away three $5 gift cards to try their new holiday offerings! Visit our Facebook page for details on this tasty Dunkin' Donuts Giveaway!